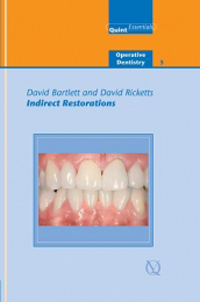 This easy-to-digest book offers expert guidance in each of the procedures involved in preparing for and placing indirect restorations. Written for students and novices, it walks readers through the steps of tooth preparation, shade taking, fabrication of the provisional restoration, impression taking, assessment of the occlusion (with and without an articulator), and crown placement. Clinical advice and expert tips for managing each phase make this book a valuable adjunct to the training one receives in dental school.